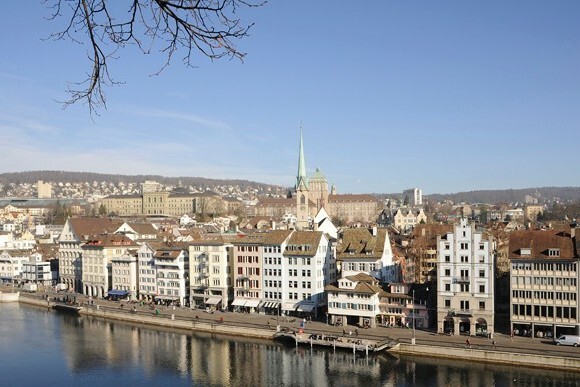 Zurich is one of the most beautiful and popular cities in Switzerland and therefore one of the most exciting. It can be overwhelming because there are so many restaurants, bars, clubs, etc. and that’s why we give you a few suggestions of our favorites. Migros: The biggest Swiss supermarket chain is situated at different locations around the Universities. Most locations have a take-away with warm snacks, sandwiches, salads etc. Mühlegasse 11, 8001 Zürich; Winterthurerstrasse 2- 4, 8006 Zürich. Coop: Another Swiss supermarket chain with a couple of stores around our location. Universitätsstrasse 73 & 101, 8006 Zürich; Zürichbergstrasse 75, 8044 Zürich; Bahnhofbrücke 1, 8001 Zürich. Tschingg: This restaurant with take-away is a good and close possibility to eat cheap and real Italian Pasta. Oberdorfstrasse 2, 8001 Zürich. Holy Cow: This is a Swiss fast food restaurant with different types of burgers, which are not the cheapest but definitely worth it. Zähringerstrasse 28, 8001 Zürich. Domino’s: Less than 5 minutes from ETH there is a place for pizza. Universitätsstrasse 11, 8001 Zürich. ETH and University: ETH and the University of Zurich have different locations to get lunch. Hot Pasta: A short distance from ETH, you will find a restaurant with original Italian food. Universitätsstrasse 15, 8001 Zürich. The corner: At the corner of Universitätsstrasse and Sonneggstrasse there is a Thai restaurant and Take away. They sell a whole variety of food, focusing especially on Asian dishes. Universitätsstrasse 9, 8001 Zürich. Uni-Falafel: This is a very small store which has the best falafel in town since 1997. Sonneggstrasse 2, 8006 Zürich. Reif: Reif is a butchery which also sells warm meals, sandwiches and other cheap lunches. Zürichbergstrasse 20, 8032 Zürich. Hiltl: The oldest vegetarian restaurant in the world. A good place to eat, not only for vegetarians. Sihlstrasse 28, 8001 Zürich. N68: N68 is close to the University of Zurich and ETH and serves great food for a price that is rather low for Zurich. Niederdorfstrasse 68, 8001 Zürich. Papa Joe’s: PJ is an American restaurant serving amazing burgers. Papa Joe’s also offers a fun bar just downstairs. Schifflände 18, 8001 Zürich. Commihalle: a good Italian restaurant, which can accommodate large groups upon reservation. The evening buffet offers delicious food for affordable price. They also offer Spaghetti all you can eat. Stampfenbachstrasse 8, 8001 Zürich. Zur Öpfelchammer: A historical restaurant to eat delicious, typical Swiss food, right in the middle of Niederdörfli. 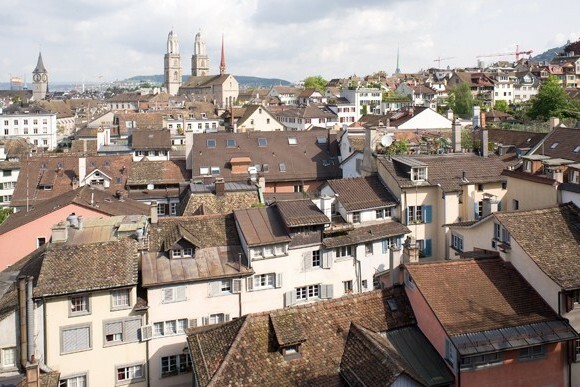 Rindermarkt 12, 8001 Zürich. Le Dézaley: A restaurant at the foot of Grossmünster, renowned for their cheese fondue. Römergasse 7, 8001 Zürich. Loft 5: An urban and chic restaurant with a cool ambiente and good food located next to the main station. Europaallee 15, 8004 Zürich. Steinfels: A young restaurant with a wide range of dishes and its own beer. Heinrichstrasse 267, 8005 Zürich. Lily’s stomach supply: Lily’s is a restaurant with a special concept and cheap, delicious and pan-Asian food. Langstrasse 197, 8005 Zürich. Amboss Rampe: This alternative bar is easy to reach by foot from the main station. Amboss serves its own beer and offers several events on the weekends. Zollstrasse 80, 8005 Zürich. BQM-Bar: BQM lies right underneath the Polyterrasse of ETH and is a great meeting place for students. Leonhardstrasse 34, 8092 Zürich. Café Henrici: A very trendy coffee in the middle of Niederdörfli, that serves amazing coffee, tea, drinks and delicious snacks. Niederdorfstrasse 1, 8001 Zürich. Restaurant Gran Café Motta: A typical Italian coffeehouse and restaurant with a view of the Limmat and the crane. 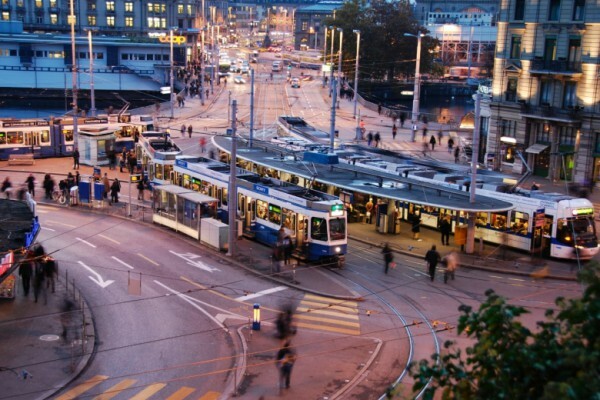 Limmatquai 66, 8001 Zürich. Barfly’z: If you like amazing cocktails in a classy ambiance, this is the place to go. Gotthardstrasse 21, 8002 Zürich. Cabaret Voltaire: This bar/ cafe (duDA) is the founding place of Dadaism and the meeting place of interesting people who enjoy a good drink. Spiegelgasse 1, 8001 Zürich. Plaza: Meeting point for the students of Zurich, especially Thursday nights. Badenerstrasse 109, 8004 Zürich. Mascotte: This club is right at Bellevue and close to our Universities. Theaterstrasse 10, 8001 Zürich. Hive: Playing the hippest sounds currently on the Charts. Geroldstrasse 5, 8005 Zürich. Supermarket: This club used to be a car wash and was one of the first clubs in Zürich West, plays mostly house and techno. Geroldstrasse 17, 8005 Zürich. Revier: A club respectively bar at Langstrasse. Hohlstrasse 18, 8004 Zürich. 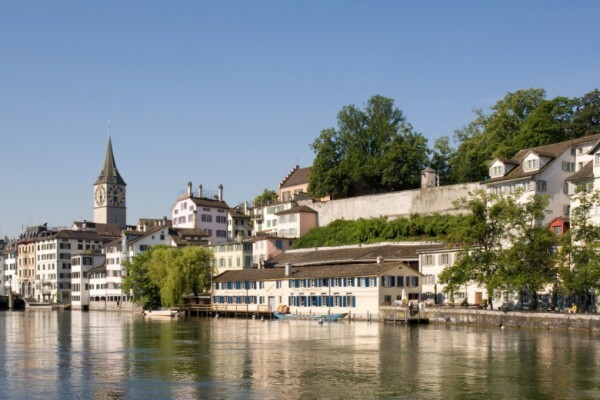 Lake Zurich: probably the most famous part of Zurich. If the weather is sunny, you can spot the snow-covered mountains of the Alps. Niederdorf: the old city center on the right side of the Limmat. The narrow streets are packed with bars and restaurants. 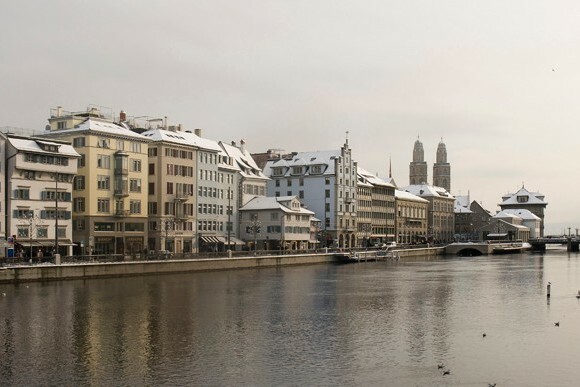 Lindenhof: a beautiful hill on the left side of the Limmat. Especially at night this place offers an incredible view over the city and the university campus. The Zoo of Zurich is one of the biggest of Switzerland. Must-sees are the newly opened elephant park and the Masoala rainforest. Kunsthaus Zürich: The local art museum with one of the most distinguished art collections in Switzerland, with a lot going on. It is only 5 minutes from the University and definitely worth a visit. Landesmuseum: The national museum of Switzerland with the largest, national, historio-cultural collection of Switzerland. Zürich West: This part of the city (Kreis 5) used to be the industrial area and was revived at the beginning of the millennium. Nowadays, it is one of the most vivid and upcoming parts of the city, with many restaurants, bars and clubs. Langstrasse: Langstrasse lies in the middle of the most multicultural part of the city, that changed a lot over the last decade. Many young and current bars have opened there not long ago. Bahnhofstrasse: This main street connects the main station to Paradeplatz and the shores of the Lake Zurich. It is a primary location for shopping. 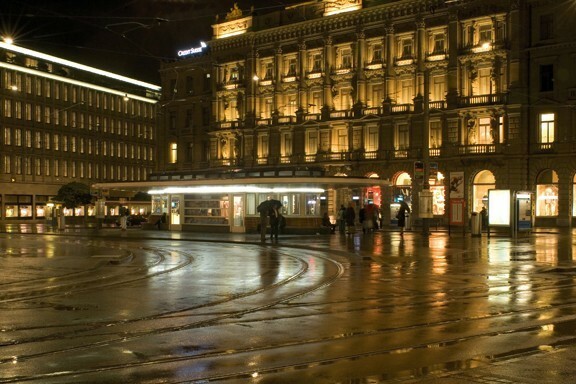 Many luxury brands are located here and it is one of the most expensive streets in Europe. 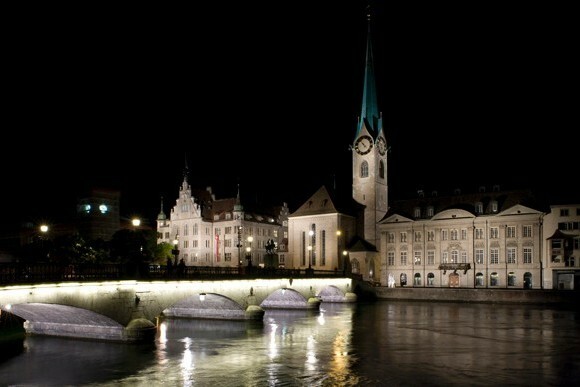 Visit www.zuerich.com to find other interesting places.